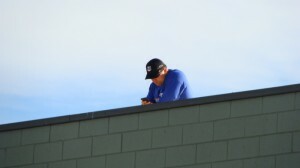 Cop on Top 2011, photo by Wendy Osher. 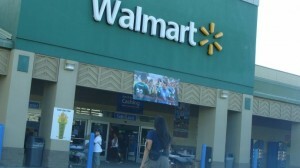 The 10th Annual Cop on Top fundraiser for Special Olympics moves to Walmart on Maui this year. 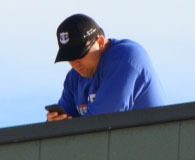 Local law enforcement officers are camping out atop the roof to raise funds for more than 200 local athletes in the program. Among the officers collecting donations this year are the Maui Police Department’s Kaena Brown, James Terry and Nick Krau. 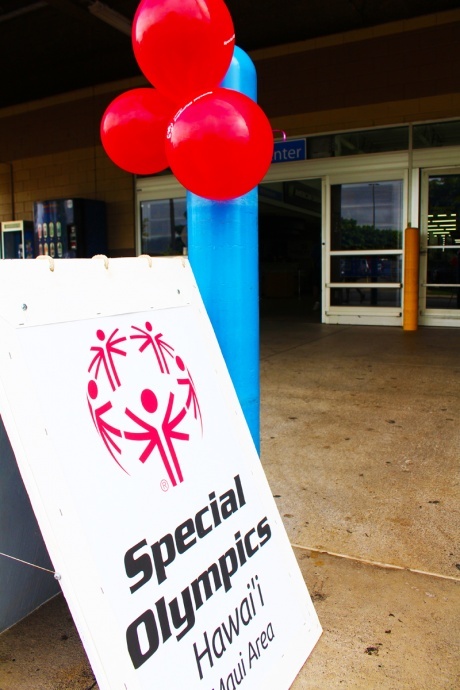 “They have a table set up on the bottom down by the entrance of the store staffed with volunteers from Special Olympics,” said Officer Krau. 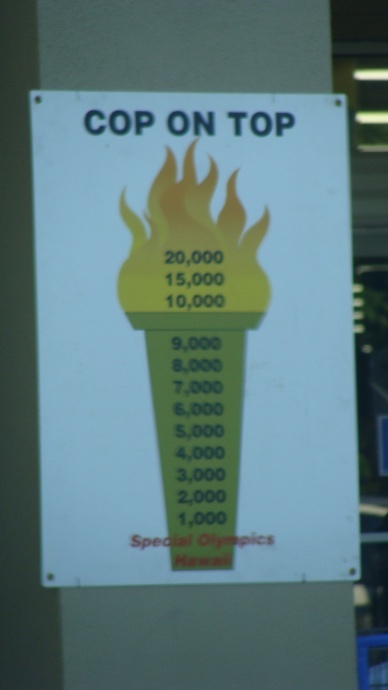 The goal that the Maui group set this year is to raise $15,000 over the next three days. “We have always met the goal that we have set. Being that this is a different location, we’re hoping that we’ll do as well, if not better than past years,” said Krau. Cop on Top Maui 2011, photo by Wendy Osher. 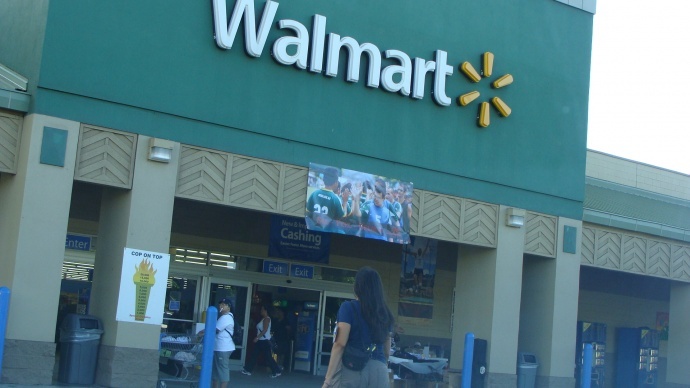 This year Cop on Top fundraiser and awareness campaign is being held at Walmart stores statewide as well as all Sam’s Club stores on O‘ahu, Aikahi Shopping Center, Kaneohe Bay Shopping Center and Koko Marina Shopping Center. 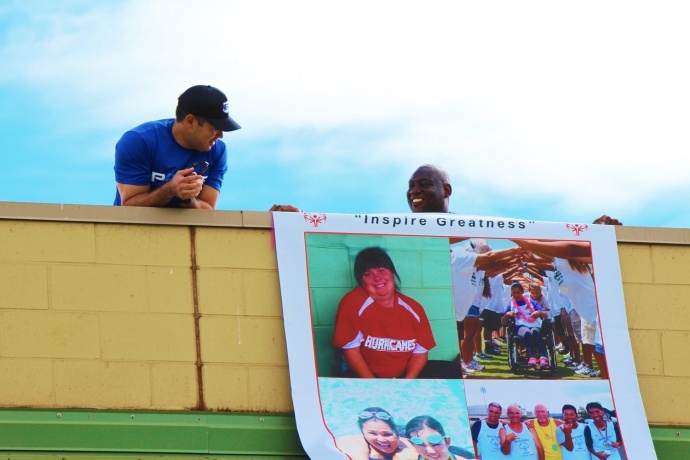 Special Olympics Hawai‘i provides year-round sports training opportunities to more than 2,100 athletes from across the state at no cost to athletes or their families. The average cost to provide one athlete with sports training and competition is approximately $1,044 a year. 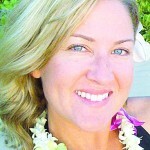 “There’s only a certain amount of times that the athletes can play each other here on Maui. 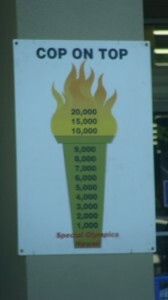 To participate in the state games, there are a lot of costs involved. Traveling to O’ahu with 100 or more athletes gets extremely expensive, so that’s where a lot of the money goes—to travel, so that they can participate in the state games,” said Krau. Cop on Top, Maui 2011. Officers climbed the scaffolding starting at 6 a.m. today (September 16), and will not return to the ground until the fundraising goals have been met, or until 2 p.m. on Sunday, September 18—which ever comes first. 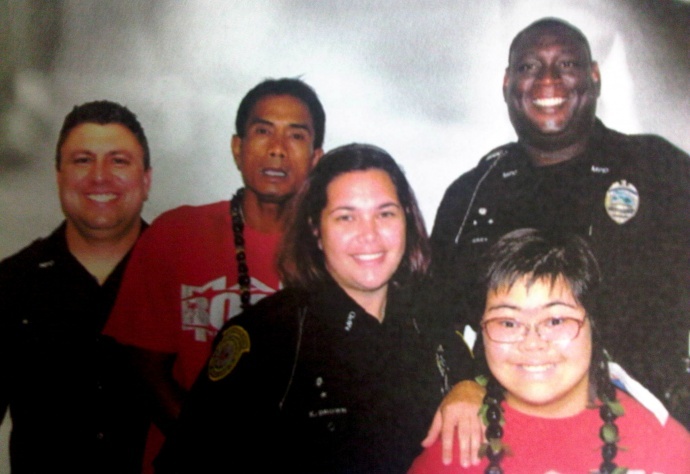 Last year’s Cop on Top event raised $235,533 for Special Olympics Hawai‘i. “Our Special Olympics athletes are the true heroes – they face overwhelming challenges every day and donating our time for Cop on Top is just a small gesture that we can make to show our support and solidarity with these amazing individuals,” said Honolulu Police Department Sergeant Ben Moszkowicz.